The Nissan Business centre are proud to offer a truly unbeatable 36 Month / 10,000 mile Contract Hire package on the new Nissan Qashqai. Order your new Nissan Qashqai through our business centre to take advantage of this incredible offer. 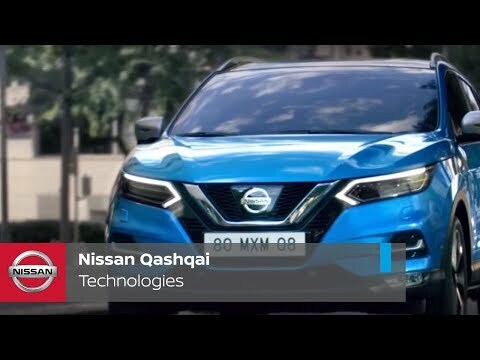 Expect more with the New Nissan Qashqai, the smart, sophisticated redesign of the ultimate urban crossover that is in the same class as the SEAT Ateca, Mazda CX-5, Volkswagen Tiguan, Ford Kuga, Ssangyong Tivoli and Honda CR-V. The Nissan Qashqai boasts stunning looks with efficient aerodynamics, allowing you to enjoy city and country driving at its best. The Nissan Qashqai combines stunning looks with efficient aerodynamics to help you enjoy enlightened city driving at it's best. To find out more please call Paul Gentle on 01202 974278 or click the button below to make an enquiry. * Functionality and features (including ProPILOT, Intelligent Around View Monitor and other features mentioned above) are available only on selected grades. You should not rely solely on driver convenience features. Some features may not work in all conditions and circumstances. Speed and other limitations apply. For terms and conditions relating to Nissan technologies, please click here.